ACS is a leading provider of routine and non-routine instrumental testing, consulting and problem-solving activities within the Australian gas market and related sectors. The company has more than 20 years’ experience in delivering independent, confidential gas testing services for industrial applications, and prides itself on its expert analytical and problem solving capabilities. Our procedures and processes are NATA-accredited according to the latest ISO 17025 international standards. ACS has been enlisted by both national and multinational companies to deliver speedy and accurate verification services across a wide range of applications such as high-purity gas testing, quality control / quality assurance (QC / QA) in beverage gases, mining discharge and emissions and in-depth coal seam gas profiling. We also commonly conduct particulate identification and monitoring activities, in addition to agricultural gas product validation and trace gases contamination testing. Our enthusiastic consultants have experience in dealing with a number of odour control issues, as well as occupational health and safety (OH&S) and local / international standard compliance audits throughout diverse gas markets. We have worked on a wide array of projects ranging from simple routine gas monitoring to specialised impurity profiling in niche, high-end gases, in addition to providing forensic assessment regarding product failures, corrosion, moisture ingress and contamination. ACS is a customer-focused organisation that welcomes new project opportunities, and the company’s dedicated staff are happy to discuss with clients any unique requirements they may have and recommend the optimum testing programme to suit their needs. ACS Laboratories’ in-house, state-of-the-art gas chromatography (GC) and gas chromatography mass spectrometry (GCMS) facilities place the company in an excellent position to provide clients with a competitive array of high-quality testing services conducted using innovative and dependable methods. 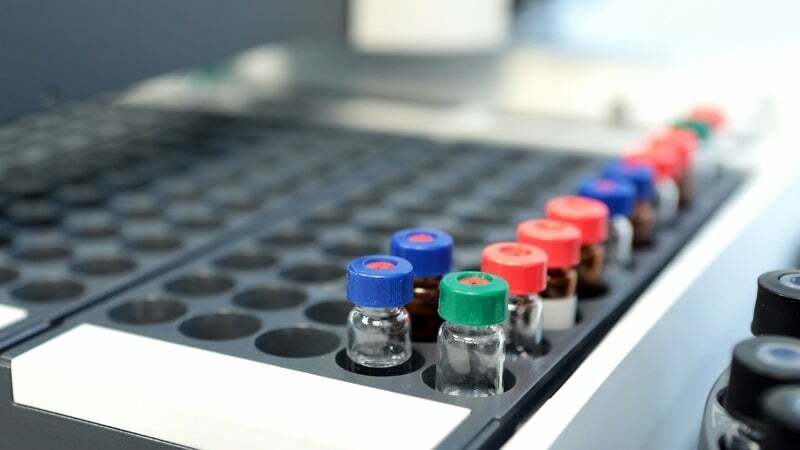 We possess a custom-built Bruker SCION 456 single-quad GCMS system, complete with gas sampling capability, as well as a number of sensitive and selective detectors such as thermal conductivity detectors (TCD) and flame photometric detectors (FPD). This collection of cutting-edge technologies allows us to handle even the most rigorous and precise work programmes, including the meticulous testing of inert gases, medical air, permanent gases, hydrocarbons, sulphur compounds and volatile organic compounds (VOCs). We deploy an Agilent single quad inert 7890 / 5975C GCMS system when conducting selective solid phase microextractions (SPME) and static headspace analysis, which are used for volatile and low molecular weight gas species in different streams. ACS’s GCMS systems are able to detect levels of condensable and non-condensable contaminants in most gases, down to parts-per-billion accuracy in many cases. Providing complimentary support and confirmation, these two instruments serve as the backbone to the company’s gas analysis procedures. Our range is further strengthened by two Agilent GCs fitted with gas sampling valves and flame ionisation detectors (FID) to increase our quality control testing capability, particularly regarding fuel gas and LPG sewerage applications where detection ranges of varying extremes may be required. ACS Laboratories recognises that accuracy is key in gas testing applications, and as such the company regularly invests in the latest capillary chromatographic columns in order provide the resolutions required to separate permanent gases and from any impurities. Additionally, deploying cutting-edge technologies facilitates invaluable testing for low-level impurities in expensive custom gas mixtures, which are often unique to local industries, institutions and manufacturing processes. Trace nitrogen analysis in pure oxygen gas streams and trace argon in ultra-high purity (UHP) hydrogen gas are examples where column choice, detector sensitivity and selectivity are paramount in achieving reliable results. Most difficult separations are achievable with high resolving power thanks to ACS’s use of cryogenic oven cooling procedures. The extensive catalogue of testing procedures we now offer has grown in response to client demands and requests. We specialise in QC / QA carbon dioxide testing and medical air profiling procedures, specifically designed to comply with the strictest ISO / AUS and industry safety standards. ACS’s intricate and highly accurate studies are able to easily detect contaminations in UHP gas streams such as helium, nitrogen and oxygen. Impurities commonly found during these processes include oxygen, nitrogen, argon, carbon dioxide and monoxide, as well as unwanted moistures. As part of our commitment to delivering a complete gas testing solution to our clients, we also offer various biogas speciation and profiling services, as well as regularly conduct fugitive emissions and OH&S sampling procedures. Available on request are specialist incident response identification and particulate screening services, as well as fourier transform infrared spectroscopy (FTIR) and scanning electron microscopy with energy dispersive X-ray spectroscopy (SEM / EDX) testing.